Here’s a short June Edition of current perfume releases and those about to launch that I’m a little excited about. I won’t be writing about all of the releases to the market in these editions as quite frankly there are way too many to reference and I’m usually only intrigued by a small selection of them. Here they are. 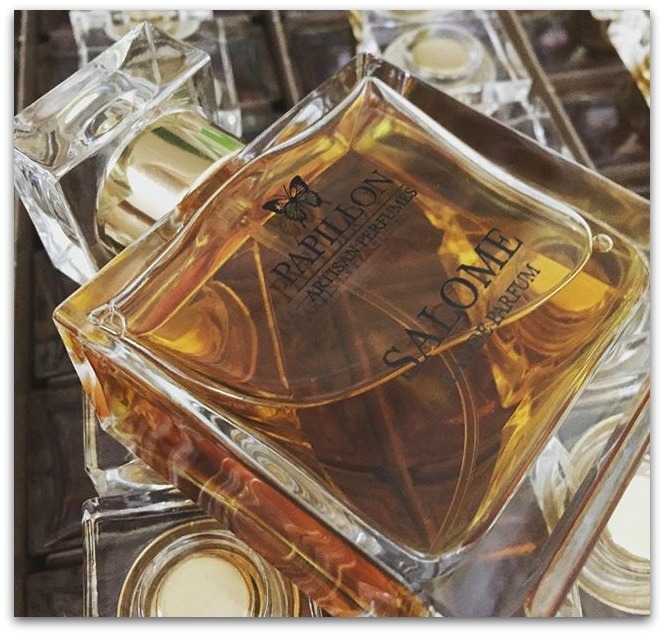 Salome from Papillon Perfumes will be unveiled shortly. Last year Liz Moores released her debut collection of three beautiful perfumes : Angelique, Tobacco Rose and Anubis my favourite. Papillon’s perfume trio was incredibly well received and each scent garnered UK Fragrance Foundation Award nominations. Liz tells me that Salome wears differently on people. It can be rather filthily skanky or reveals itself in a more demure fashion. So it’s a bit of a chameleon depending on the skin the perfume is on. The Candy Perfume Boy has a recent interview with Liz Moores where she talks about some of the challenges involved in making the perfume. There are reviews up already on CaFleureBon and I Scent You A Day. The notes for Salome are : Jasmine, Carnation, Turkish rose, Africa stone, Patchouli, Bitter orange, Oakmoss, Styrax, Bergamot and Orange blossom. 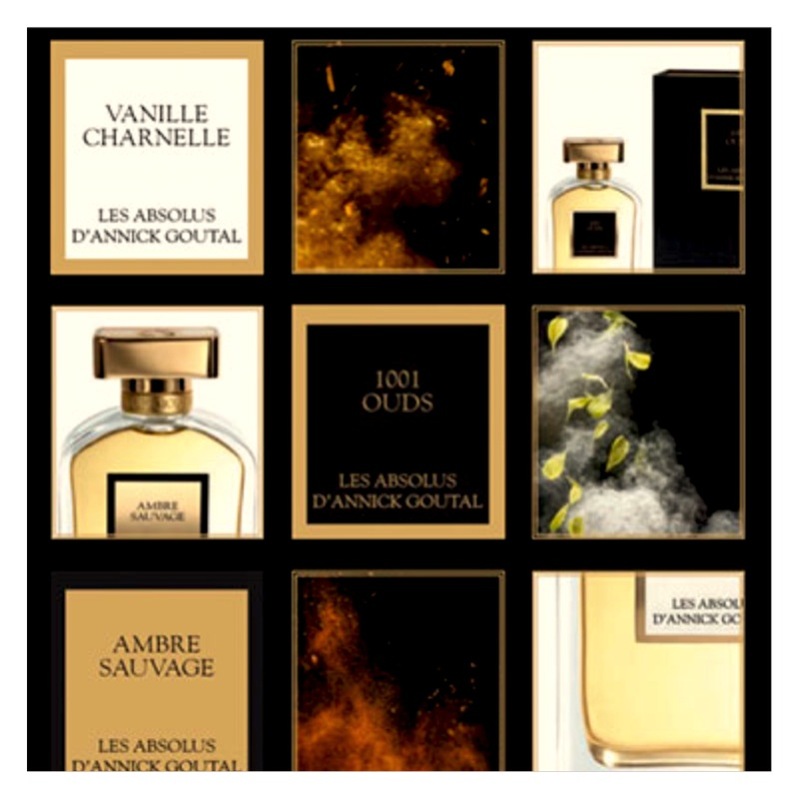 Annick Goutal, one of my favourite perfume houses is releasing three new perfumes in October as part of the Absolus Collection that pays homage to vanilla, amber and oud. The new perfumes are entitled Vanille Charnelle, Ambre Sauvage and 1001 Ouds. This collection will be available from October 5. The pricing is 195€ for 75ml. It has to be said that Annick Goutal is jumping onto the very crowded band wagon with the Absolus Collection by creating a more exclusive line within a brand (see Serge Lutens with his Collection des Ors, Dior and Chanel with their exclusive collections and Tom Ford with his Private Blend Collection …). These ranges offer perfumes that are packaged differently to their regular counterpart and are positioned at a higher price point. Even though the pricing doesn’t appeal to me that much I do adore Ambre Fetiche so I’m interested to see what they’ll do with this new oriental styled range and to see how the amber will compare to the one I currently love. Vanille Charnelle will have notes of Vanilla, Ylang ylang, Pepper, Tonka but without added sugar. Ambre Sauvage is presented as a classic amber but more savage with facets of Baie rose, Lavender, Iris, Vanilla, Styrax and Patchouli. 1001 Ouds is described as an oriental fantasy but one that has modernity. There is Rose, Papyrus, Myrrh, Oud, Gaiac wood and Pepper. A niche brand that I believe is gaining some traction at the moment is Memo, even though it is not a new entrant to the market. It’s a brand directed by Clara Molloy and African Leather is a new addition to the Cuirs Nomades collection. The nose behind the perfume (and all of those in the range) is Alienor Massenet. Described as a spicy floral leather the perfume’s notes are : Cardamom, Geranium and L:eather; additional notes include Bergamot, Saffron, Cumin, Patchouli, Oud accord, Vetiver and Musk. It will be available in 75ml EDP for 180€. Check their website for other perfumes in the line. Vero Kern of Vero Profumo makes perfumes that are influenced by the great scents of yesteryear and are heavenly, sensual and gritty. She is working on a tobacco perfume and posts tantalising snippets on Facebook and Instagram where you can see developments in the making. I am anticipating that her smoky palette will be incredibly seductive. 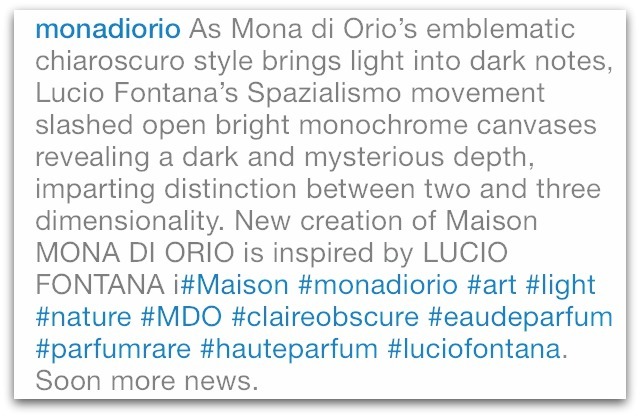 Mona Di Orio revealed on Instagram recently that the house will be releasing a perfume, tantalisingly inspired by Lucio Fontana’s spazialismo movement. 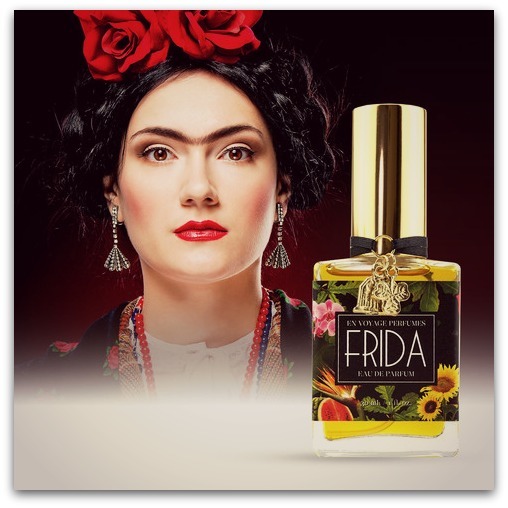 Frida is a gorgeous new tuberose influenced perfume inspired by Frida Kahlo, from independent American perfumer Shelley Waddington from En Voyage Perfumes. I have had a spritz of Frida and it’s drop dead gorgeous. Review to come shortly. The notes are : Top : Fruits, Herbs and Leaves of Friday’s gardens, Agave, Green Pepper : Heart : Tuberose, Hibiscus, Cactus Flowers : Base : Light Woods, Sugar, Oak moss, Aldehydes, Myrrh, Frankincense and Copal, Tobacco accord, Sexual Animalic notes, Musk, Amber. The perfume is available on the En Voyage website in a sample size, .5 oz ($75 US) and 1oz ($95 US). Alaïa has finally decided to introduce a perfume to his brand – Alaïa Paris. I did love watching the supermodels in days gone by rocking the fabulous bandage dresses he conjured. 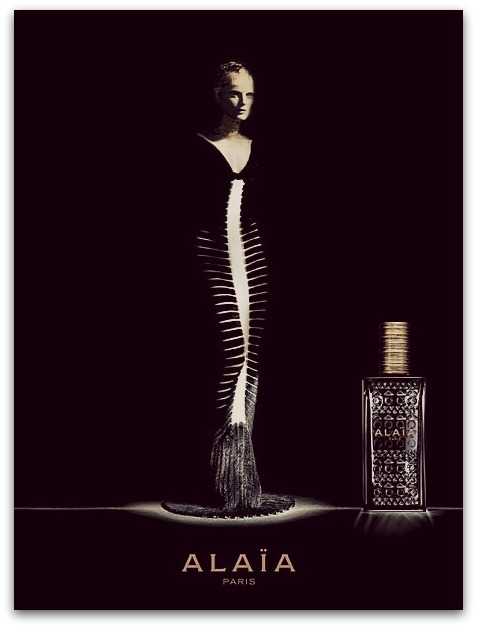 I confess that I’m already interested in this due to the incredible looking bottle and the unusual premise that Alaia didn’t want any obvious notes to be smelt in the perfume. So I assume it’s a gauzy Narciso styled scent. The nose is Marie Salamagne who has been creating perfumes of note recently including Black Opium and the Atelier Des Ors range. There are fresh, water and mineral accords, Pink pepper, Freesia, Peony, Animalic notes and Musk. 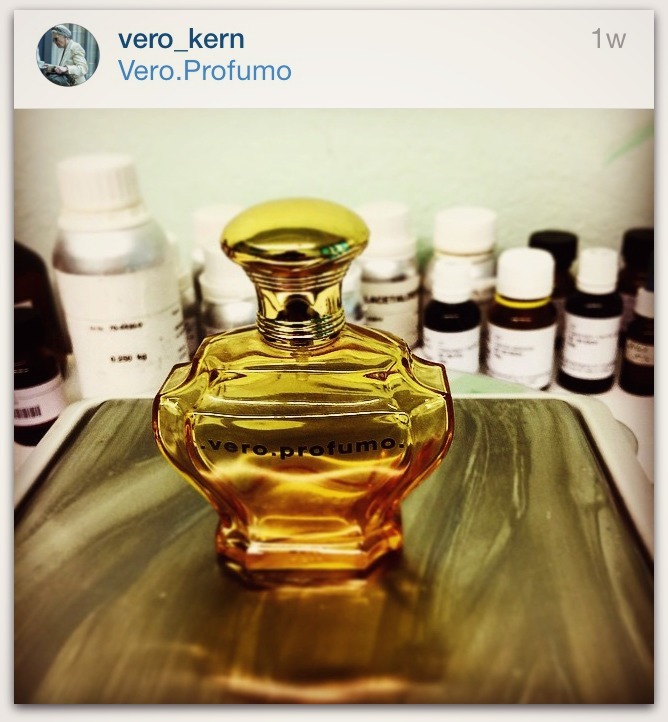 Grain de Musc has written about the perfume on her blog. In France Alaïa Paris is for sale for 58€ for 30ml, 82€ for 50ml and 114€ for 100ml. It’s available from Sephora. 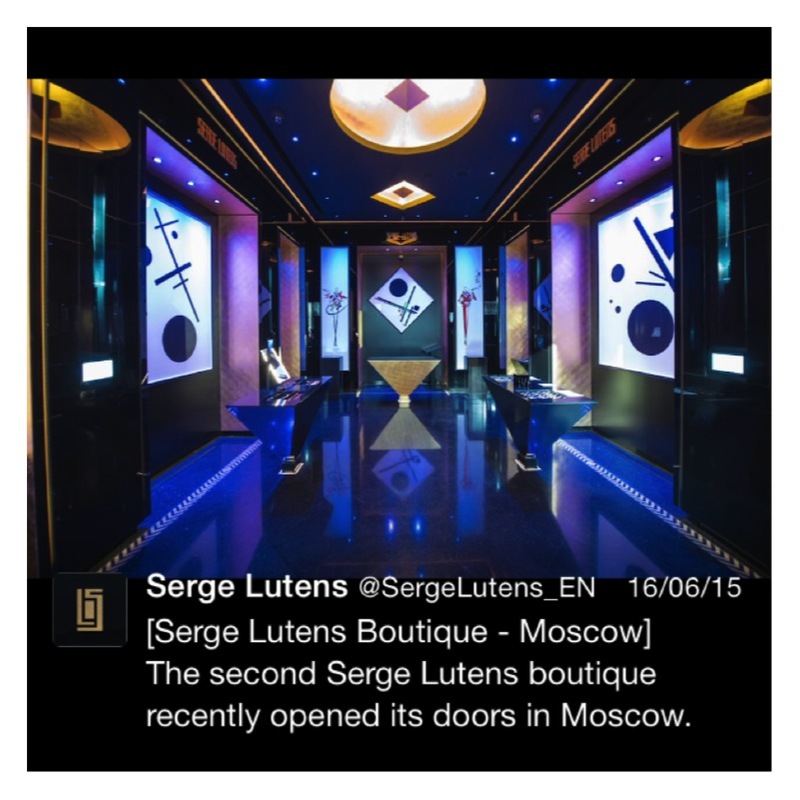 A Serge Lutens stand alone store has opened in Moscow. I have to say the location of his second store does not surprise me at all as Russia is a key market for niche perfume. The photos of the interior look incredible as anticipated. Expect more stores to open worldwide with Shiseido’s ownership of the brand. Notes : All images from the relevant brand. I adore Ambre Fetiche as well! I just have a big soft spot for all things Goutal. I enjoy your blog very much, but don’t have always time to comment. Hi Hamamelis – nice to see you here. I see you often on either Bois de Jasmin and NST or both? I have thought before actually when you leave comments there that we share some similar taste in perfume. I have a big soft spot for Goutal as well and Ambre Fetiche is my favourite. As soon as I take the lid off to spray it hits me with all its gorgeousness. It never fails. I love that you like it too – it deserves more love. That is what I thought exactly, that we share some similar taste (also in the Lutens’s). I have yet to try Goutal’s Ninfeo Mio and resisted blind buying it for a long time, solemn vow: no more blind buys! I have no easy access to Annick Goutal (or any other not too mainstream house), but my husband and myself will make a bit of a road trip in France end of August, and I hope I have a chance then. I visit both BdJ and NST, very good to relax for me. Hi Hammelis. I try not to do blind buys either but occasionally I take the plunge. If you msg me I can send you a sample of the Goutal if you like (depending where you live – sounds like Europe.)! My blog name plus the gmail ending. A road trip to France sounds great.